Veteran of the Year co-winners Wayne Wright (left) and William Fast (right). 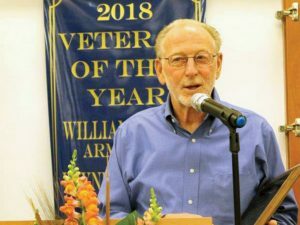 Each year, the VSC presents its Veteran of the Year award to a Summit County veteran who demonstrates selflessness in the form of community service, and each year the organization finds itself choosing from hundreds of high-quality candidates who go above-and-beyond in their quest to improve the lives of others. 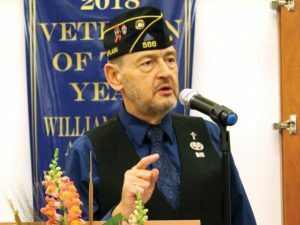 This year was no different, except that two co-winners were selected: local Vietnam veterans William Fast and Wayne Wright. Both Fast and Right grew up in Northeast Ohio and came from families with a history of military service. Both had fathers who fought for their country during World War II. And both served as active-duty soldiers during the Vietnam War – Fast with the U.S. Army and Wright with the U.S. Marine Corps. However, each of them had their own reasons for joining. For Wright, who enlisted in July 1966 and was honorably discharged in March 1970, the choice was about discipline. William Fast accepts his award. Fast, who served from the fall of 1967 through February 1975 – including two tours in Vietnam – joined the Army as a medic with the intent of continuing after the war ended. “I really wanted to make a career out of it, but my wife didn’t enjoy all the moving,” he joked. Fast’s military experience was the launching pad for a 40-year career in nursing, most of which was spent in hospice care. His first-ever nursing assignment came in 1972 at Walter Reed Army Medical Center in Bethesda, Md., where he served in the Presidential suite. Both Fast and Wright similarly felt compelled to help veterans in their community after leaving the service. 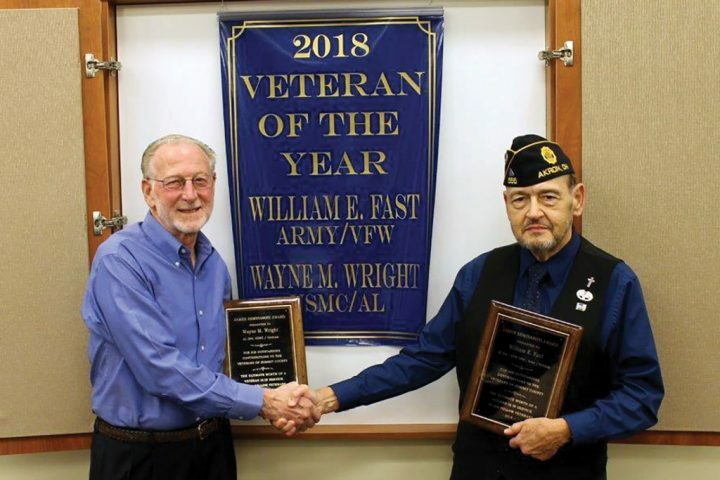 Fast has been actively involved in American Legion post 566, Veterans of Foreign Wars (VFW) post 1066 and the Military Order of the Purple Heart. In addition, he became an ordained minister in 2010 and joined the Ohio Western Reserve National Cemetery as chaplain of the advisory board. Much of his time has been spent counseling veterans to help them cope with hospice. Wayne Wright accepts his award.